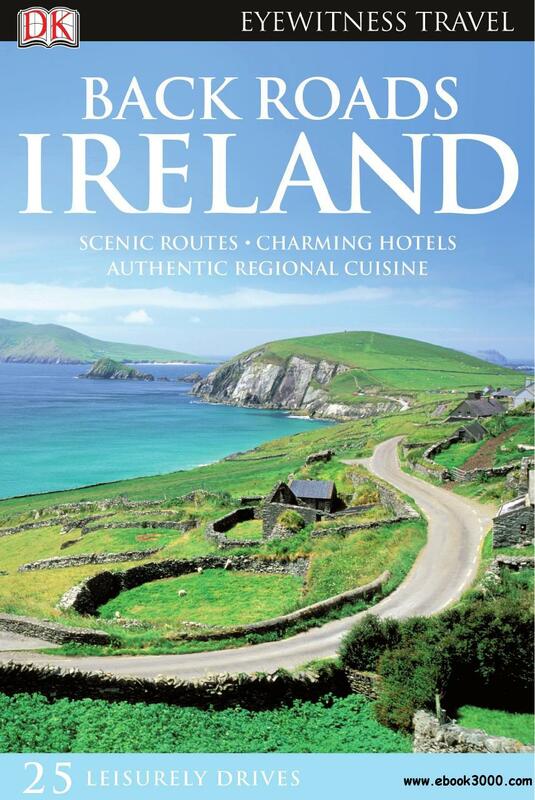 DK Eyewitness Travel Guide: Back Roads Ireland vacation driving tour guidebook reveals the secret gems and hidden delights that can only be discovered along the Emerald Isle's most scenic routes and back roads. Twenty-five themed drives, each lasting one to five days, introduce travelers to the soul of Ireland - from the golden beaches of Cork and the spectacular Sheep's Head peninsula to the bushy glens of classic Northern Ireland and spellbinding caverns of the lakelands. Along the way, these driving tours of Ireland highlight day trips and activities such as walks and hikes, bird-watching and beach strolls, islands and lighthouses, and children's attractions. Pass by ancient stone circles and megalithic tombs, Celtic crosses, medieval castles, and stately homes. Practical information, such as road conditions, lengths of drives, and zip codes for GPS devices accompanies the complete itineraries and pull-out map, as do listings for the best-value hotels, intimate guesthouses, local produce-friendly restaurants, and cozy pubs. DK Eyewitness Travel Guide: Back Roads Ireland leads you to the most authentic and delightful experiences the country has to offer.